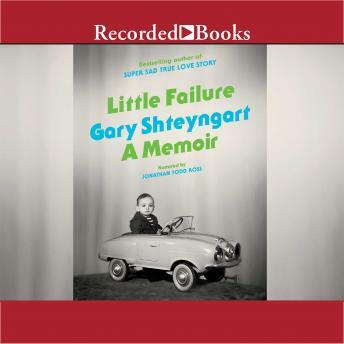 After three acclaimed novels-- The Russian Debutante' s Handbook, Absurdistan, and Super Sad True Love Story-- Gary Shteyngart turns to memoir in a candid, witty, deeply poignant account of his life so far. Shteyngart shares his American immigrant experience, moving back and forth through time and memory with self-deprecating humor, moving insights, and literary bravado. The result is a resonant story of family and belonging that feels epic and intimate and distinctly his own. Provocative, hilarious, and inventive, Little Failure reveals a deeper vein of emotion in Gary Shteyngart' s prose. It is a memoir of an immigrant family coming to America, as told by a lifelong misfit who forged from his imagination an essential literary voice and, against all odds, a place in the world.